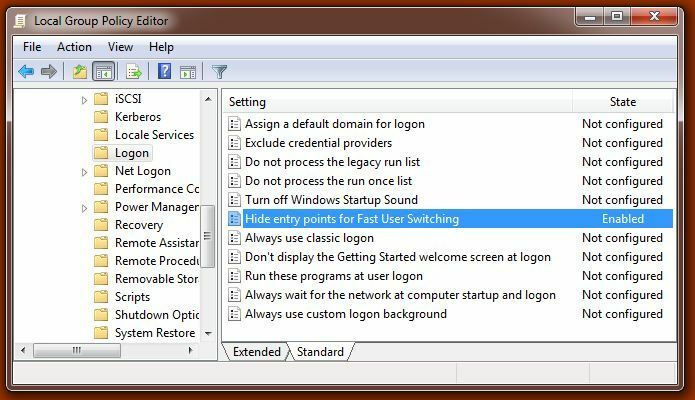 Fast user switching was introduced with Windows XP (though XP can’t do this when joined to a domain). Starting with Windows Vista you COULD do this in a domain environment. Some users and sysadmins see this as a bad thing (having users logged on with sessions open that may get forgotten about). 3. 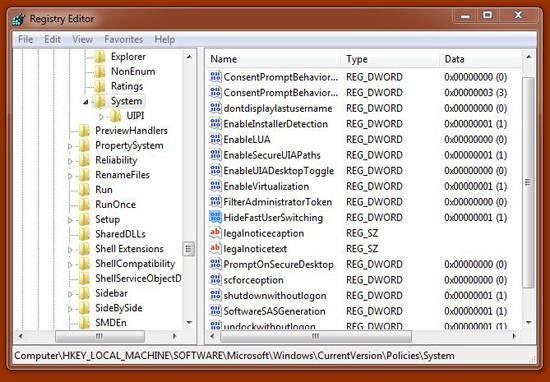 Create (or modify if it exists) a 32 bit DWORD called HideFastUserSwitching and set its value to 1 (disabled). 4. Or simply download and run this registry file. 2. 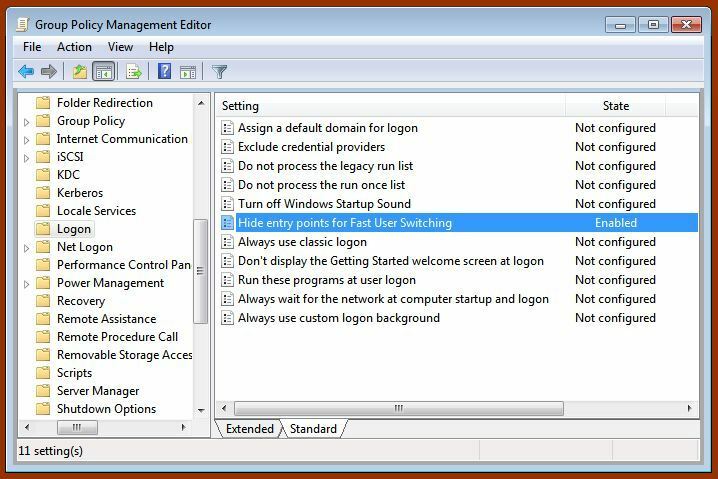 Navigate to Local Computer Policy > Computer Configuration > Administrative Templates > System > Logon. 3. In the right hand pane locate “Hide entry points for Fast User Switching” and enable. 2. Navigate to, Local Computer Policy > Computer Configuration > Policies > Administrative Templates > System > Logon. 3. In the right hand pane locate ” Hide entry points for Fast User Switching” and enable.